Too cute, yeah? 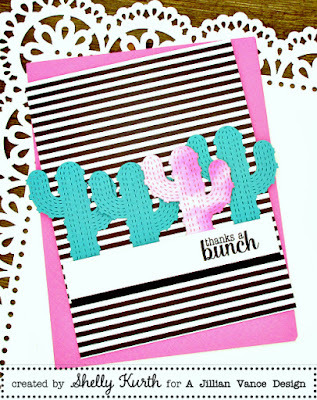 !...I just love the new Petite Cactus Pair die! 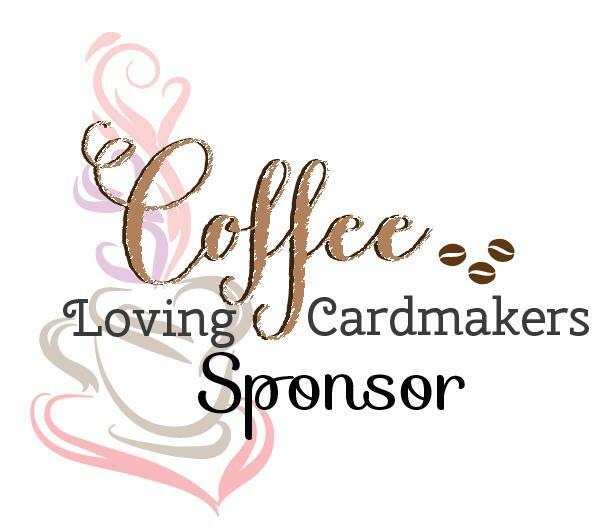 I started with doing a little watercoloring on some watercolor paper and then once things were dry, I used the petite cactus die with it. 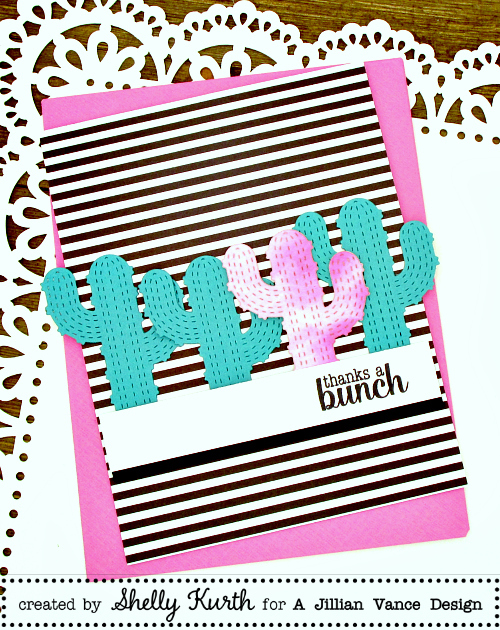 After, I used some teal cardstock for my other cacti. 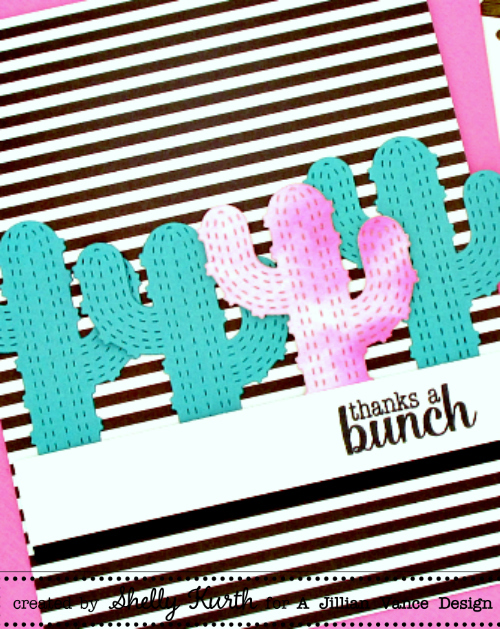 Once having all my die cut pieces, I used some patterned paper for my background and then added my cacti one by one (for my pink cactus I added some foam tape on the back of it). Such a fun card Shelly! LOVE the colors!